We are delighted to help advise you in your search for a new saddle. We are all riders at Trumbull Mountain and we understand the importance of good fit for both you and your horse. We have lots of helpful articles on saddle fitting from our experts. We think our one-week trial ride policy is the best in the industry—we want you to ride in our saddles before you buy. Please take the time to fill out our saddle fitting questionnaire, send us some photos and a wither tracing. Our goal is to have happy riders and comfortable horses and this information really helps us to make a good recommendation. Please call us with any questions. 800-442-9672 or email saddles@trumbullmtn.com. Our new saddles are divided first by discipline—dressage, jump, endurance, and all purpose—and then by manufacturer within the discipline. There may be some saddles that appear in two categories—most notably between endurance and all purpose, which can share many similar qualities. Also, there may be saddles listed under dressage or jump that are also very popular for trail and pleasure riders, so please take time to browse the different saddle categories. Our company makes sure a horseback rider has the perfect saddle. We think a one-week trial ride policy is the best in the industry. We want you to ride in our saddles before you buy. He or she can fill out the saddle-fitting questionnaire, so we can find the right saddle for the customer. Check out some of the many saddles we offer for sale, including English saddles and Dressage saddles. The Dressage saddles we offer are Black Country, Fairfax, Kent & Masters and Frank Baines, Lovatt & Ricketts, Duett and Thorowgood. These different types of saddles accommodate all different horse types. This allows the horse to be comfortable with the saddle on and the with the rider while on the horse. The English leather allows for comfort and stability for a close connection with the horse and rider. 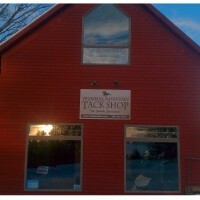 Trumbull Mountain Tack Shop allows a horseback rider to improve riding experience by purchasing the perfect fit saddle.